Western intelligence agency finds Syria is continuing to make chemical weapons in violation of 2013 deal. Syria's government is continuing to make chemical weapons in violation of a 2013 deal to eliminate them, a Western intelligence agency told the BBC on Thursday. A document quoted by the British broadcaster says chemical and biological munitions are produced at three main sites - at Dummar and Barzeh near Damascus and Maysaf, in Hama. All three are branches of the Scientific Studies and Research Center (SSRC), a government agency, it adds. It alleges that both Iran and Russia, the Syrian government's allies, are aware. Despite monitoring of the sites by the Organization for the Prohibition of Chemical Weapons (OPCW), the document alleges that manufacturing and maintenance continues in closed sections. It says the Masyaf and Barzeh facilities both specialize in installing chemical weapons on long-range missiles and artillery. The OPCW mentioned Barzeh and Dummar - also known as Jamraya - in its latest official progress update on its work to eliminate Syria's chemical weapons program, noted the BBC. The watchdog said inspectors visited them between February 26 and March 5 and that it is still awaiting laboratory analysis of the samples that were taken. The report comes weeks after a chemical weapons attack in Khan Sheikhun, in which sarin gas was used. The U.S. imposed economic sanctions on 271 SSRC employees three weeks after the Khan Sheikhun incident, accusing the agency of focusing on the development of non-conventional weapons and the means to deliver them. It is promoted as a civilian research institute by the Assad government, noted the BBC. A source familiar with weapons inspection protocols says it is plausible that a government might only declare certain facilities on any given site to the OPCW and therefore only give inspectors access to those areas. The intelligence document also accuses Syria of falsely declaring the work of one of its research branches as defensive - when it really continues to develop offensive capabilities. In a statement emailed to the BBC, the OPCW said it had asked the Syrian authorities to "declare the relevant parts" of the SSRC sites, as per their obligations under the Chemical Weapons Convention (CWC), an international treaty prohibiting their use. Although the authorities have declared sections of those sites, the statement said that was "not yet sufficient". The watchdog said it was "not yet in a position to confirm that the [Syrian] declaration is complete and accurate". Western states have blamed Assad’s army for the recent chemical weapons attack in Khan Sheikhun, in which sarin gas was used. Assad has repeatedly denied his government has any chemical weapons after agreeing to give them up to international monitors in 2013. 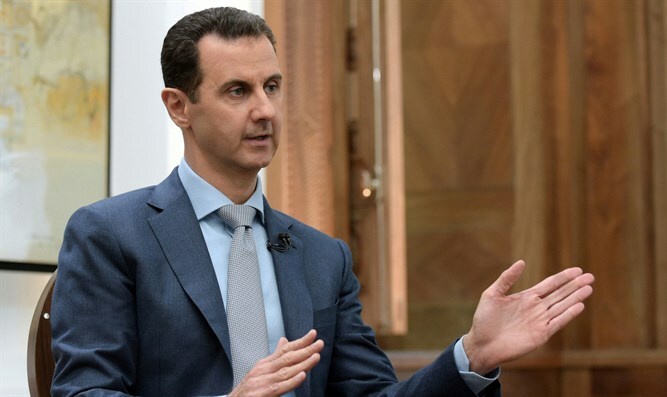 In fact, Assad two weeks ago claimed that the Khan Sheikhun attack was fabricated by the United States, insisting the Syrian army had already relinquished its chemical weapons reservoir. The OPCW has determined that civilians in Syria may have been exposed to chemicals even after the Syrian government agreed to the 2013 deal to surrender its chemical weapons. Human Rights Watch released a report on Monday alleging that Khan Sheikhun was part of a wider pattern of chemical weapon use by Syrian government forces, including three other attacks involving nerve agents since December. The intelligence information about the suspected weapons manufacturing sites was shared with the BBC on condition the agency providing it would not be named. It does not give detail about how the alleged evidence was gathered.